Dorina Papaliou’s “A Study in Green”, is set in Victorian Plymouth, with Arthur Conan Doyle -a young doctor at the time- as its protagonist. Through Doyle’s search for the truth behind the sudden death of the mysterious ‘lady in green’, the story plays with the possible circumstances that might have led Doyle to the creation of his famous detective, Sherlock Holmes. The exciting journey of the art of shadow theatre in time and space – from East to West and from past to present. Illuminating texts and a wealth of largely unpublished photographic, audio and video material shed light on Greek shadow theatre and its creators. The journey of a popular hero from his sporadic early appearances in 19th century Greece to the present is illuminated by unknown data and insightful references to the historical framework. 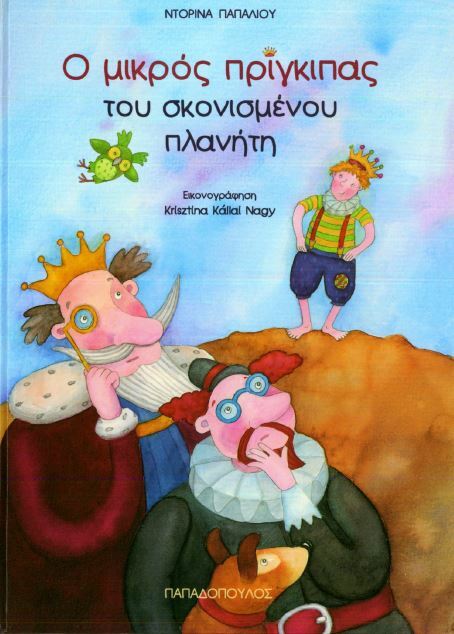 Finally, with the engaging game “Let’s play Karaghiozis”, children of all age groups learn how to make figures of the characters, set up a backdrop or “perde” and stage their own shadow theatre performance. Over the last few decades, the ancient art of the storyteller and epic singer – the art of oral narrative – has witnessed a revival in the West. In view of this resurgence of interest, this volume compiles essays and interviews exploring the stories, as well as traditional and contemporary storytellers. The traditional art of narrative is lost, along with the traditional way of life and oral culture in general. Stories can only survive if they are recounted time and again by competent storytellers. Thus, the key for an in-depth approach of the art of narrative is the storyteller himself. 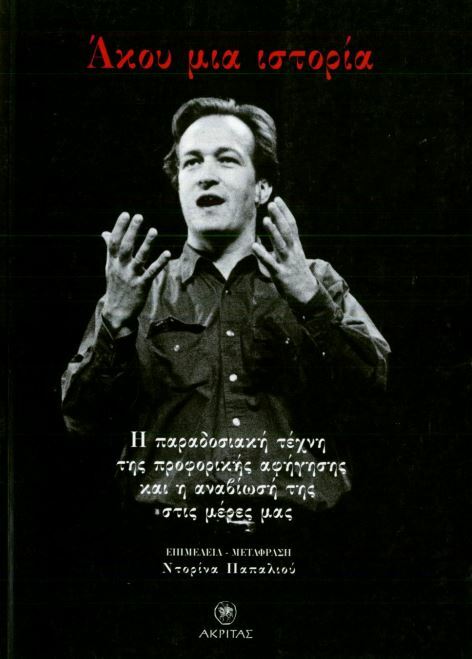 It is to him, the storyteller as a traditional or contemporary narrator, that the essays in this book are dedicated. The book consists of two parts. Part I focuses on the traditional storyteller, including essays by Walter Benjamin; distinguished Irish folklorist Seamus O’ Duilearga; Dimitrios V. Oikonomidis; Indian anthropologist Kirin Narayan; as well as Jewish-American storyteller Yitzhak Buxbaum. Part II is dedicated to the revival of oral narrative – namely the emergence of the storyteller as a professional artist in the West over the last decades. The issue of the renaissance of a long lost art is explored by British Eileen Colwell, a leading exponent of the renaissance, as well as by three of the best known young storytellers: French-Norwegian Abbi Patrix and the British Ben Haggarty and Pomme Clayton. 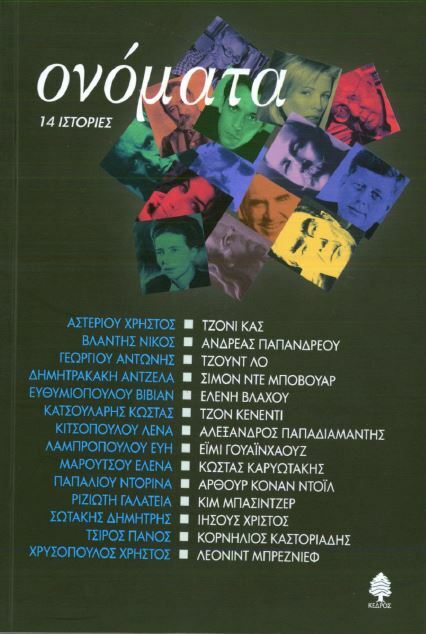 The Greek reality is illuminated through texts by educator Koula Kouloumbi-Papapetropoulou; author and director Apostolos Doxiadis; as well as Stelios Pelasgos, the first Greek contemporary storyteller. 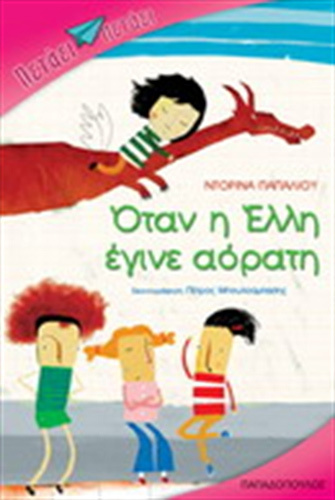 Short-listed for the Children’s Illustrated Book Award, Diavazo magazine. I arrived late for school and my clothes were covered in mud. Mrs Sonia, the class teacher, scowled at me and asked for my homework. “I don’t have it”, I said drily, “Zorro ate it”. Who is that Zorro, after all? And what exactly happened? They call him Plato, but he is not a philosopher. 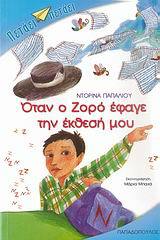 He is a little mouse that left Athens chasing a dream: to become a famous chef. Where did he go? To Paris, of course. Will he make his dream come true? When one follows ones dreams, anything is possible. 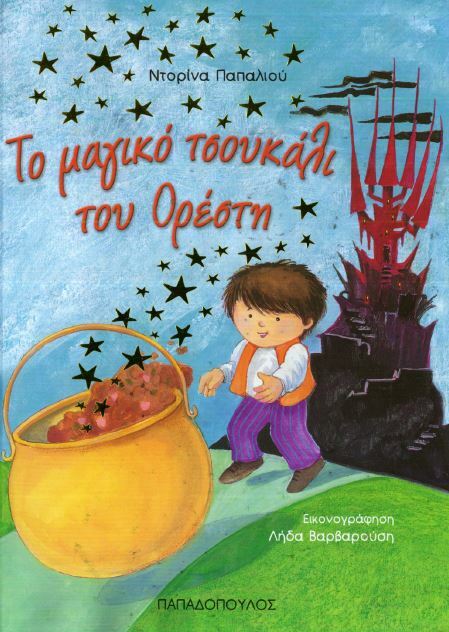 Little Orestes does not believe in witches and dragons- neither in giants, fairies or elves. But what is going to happen when he crosses paths with an enchanted pot? When, on the very first night of his encounter with the pot, the pot will spring up, cross the fields and lead him to the palace of a frightful wizard? Short-listed, State Award for the Children’s Books Illustration. There is one thing the little prince of the dusty planet hates most of all: taking a bath. Can Leon Da Vi, the famous inventor, find a solution? 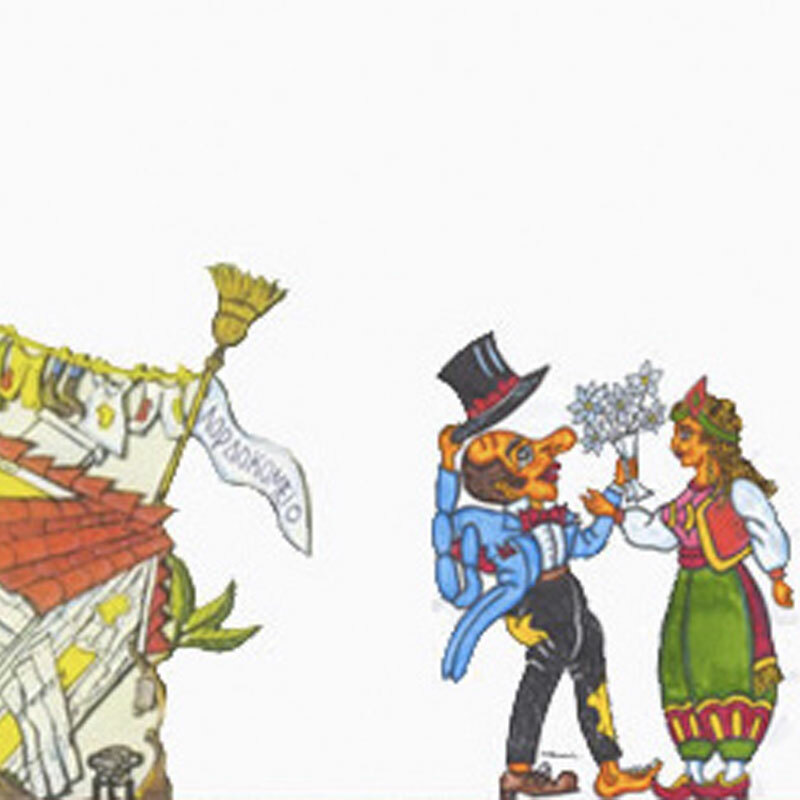 A fairytale narrating the funny story of the invention of the first shoe on a small planet, touches upon a simple ecological message regarding the ambivalent power of technology.